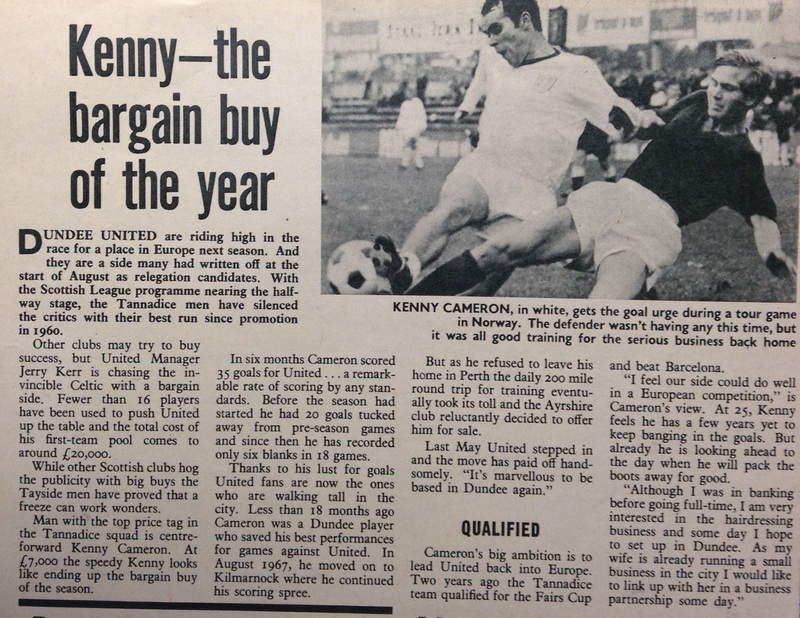 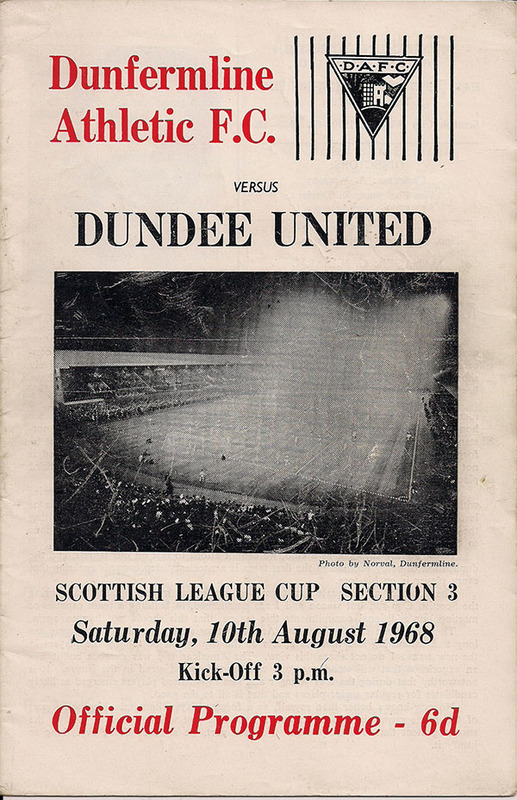 Kenny had been with Dundee and then Kilmarnock, before he joined United. 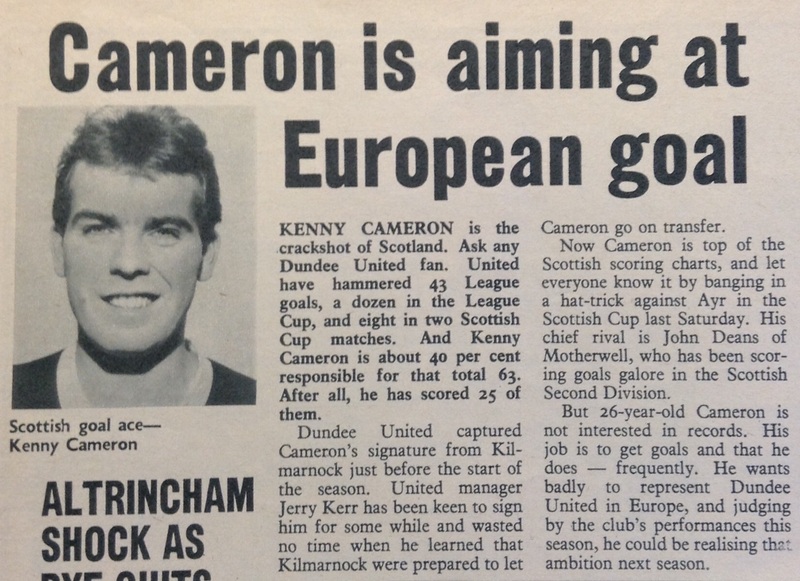 Astonishingly, he recorded a total of 15 goals, including four hat-tricks, before the new season got under way. 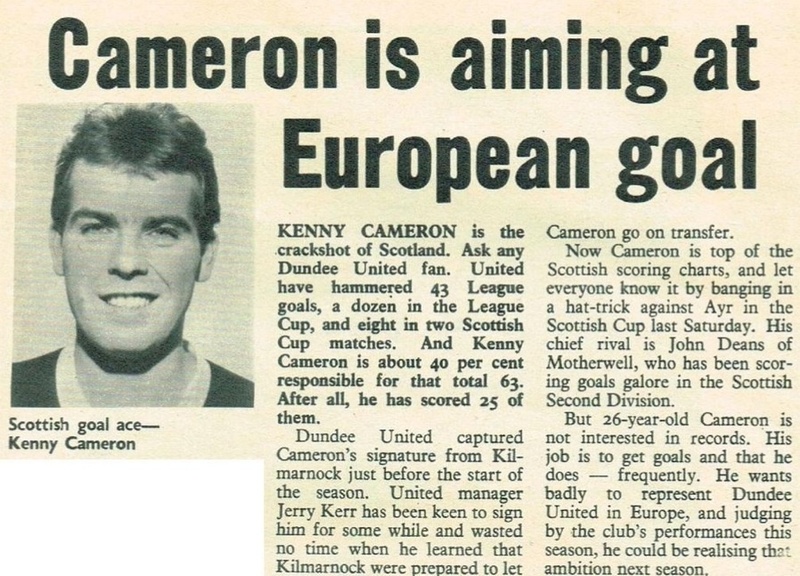 He continued in great scoring form in his first season, ending the campaign as Scotland’s top scorer with 36 goals. 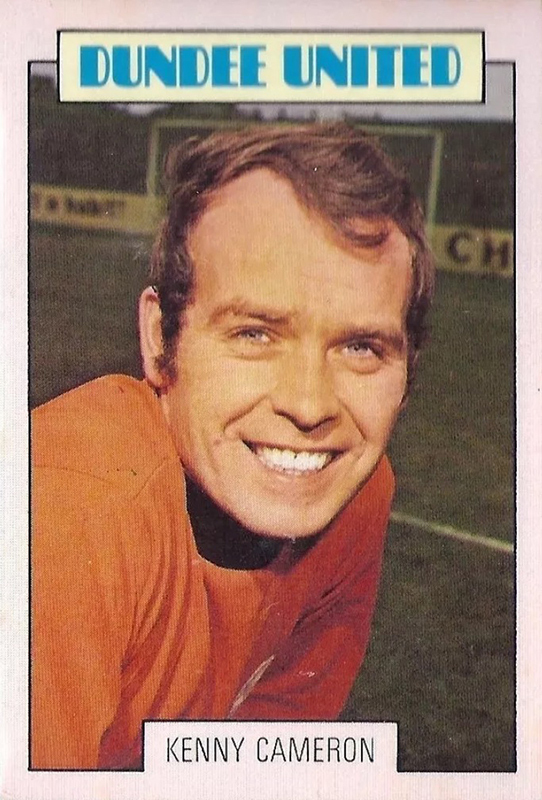 Over the next five years he was a regular in the front line whilst he graduated as a coach and when he was released in May 1974, he joined Montrose as player/coach, later becoming their manager. 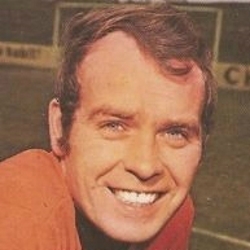 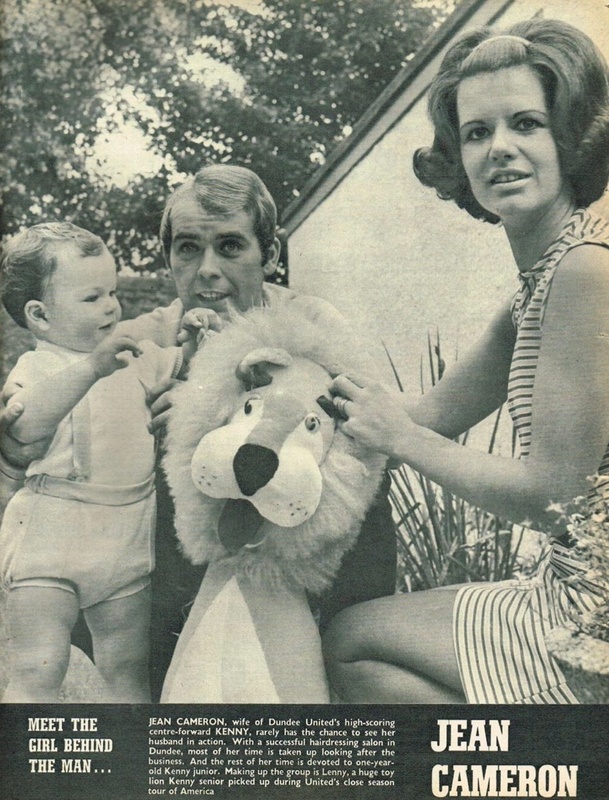 After he left Montrose, he used his football knowledge as a scout and helped United find many of the young players who would emerge over the years. 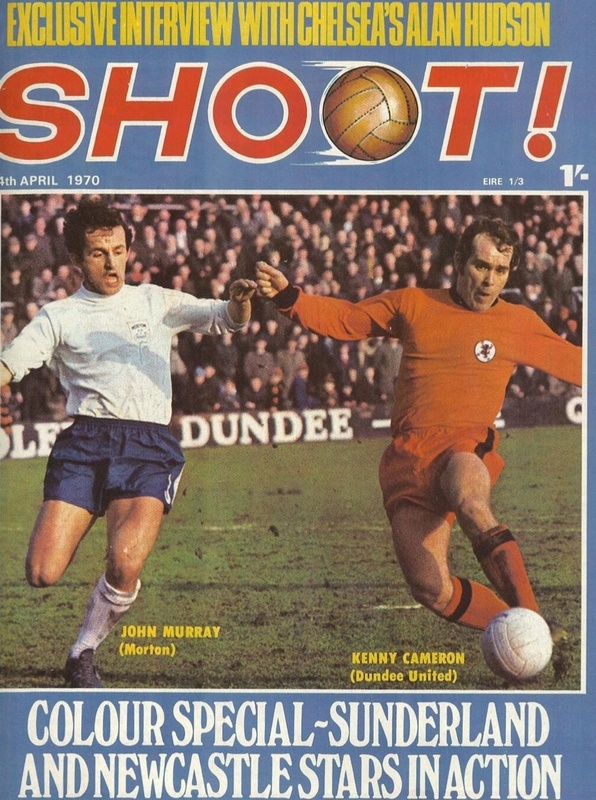 He was also a coach at Tannadice for fifteen years. 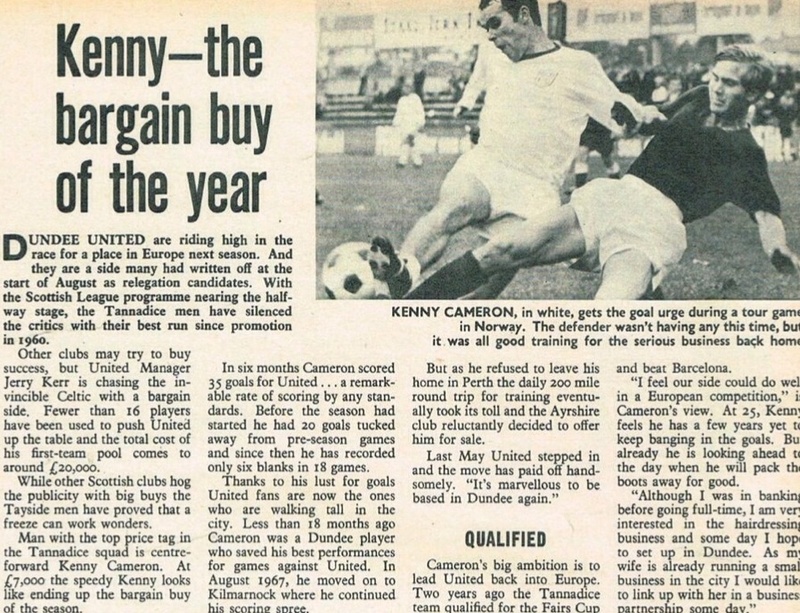 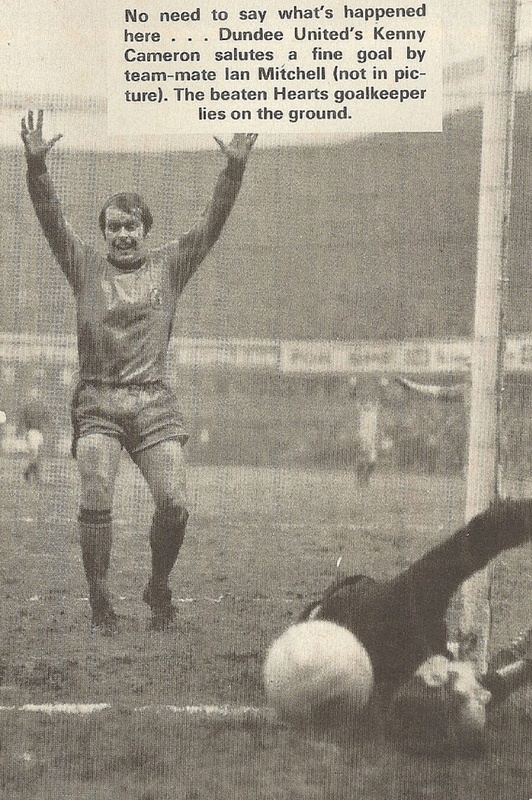 Kenny was born on this date in Perth.